CJ WOW SHOP is an innovative home shopping network that is accessible across television, online and mobile platforms, bringing to Malaysians a uniquely visual, interactive and immersive experience. Established in 2016, the company discovers and provides high quality products and services aimed at enriching people’s lives. Brighten up your Lunar New Year with more ONG this festive season! 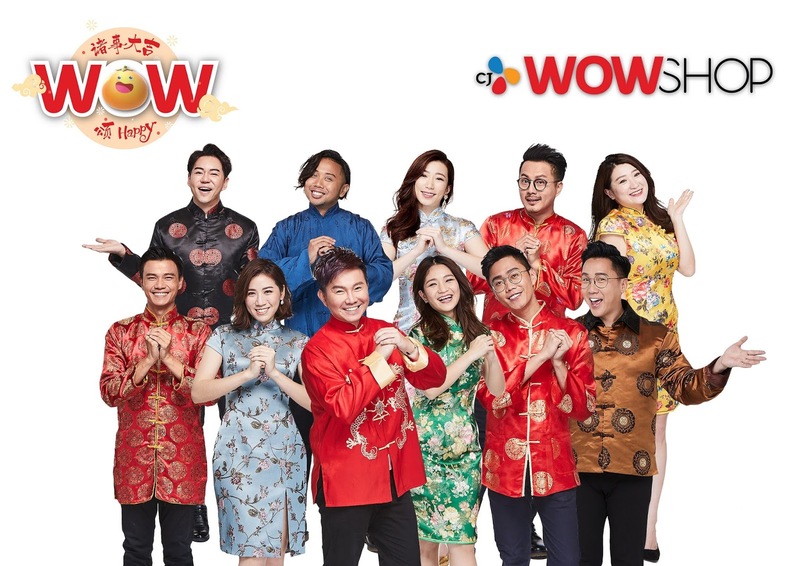 Malaysia’s innovative home shopping network CJ WOW SHOP rings in an extra auspicious Chinese New Year with its ‘WOW Your Home’ contest. Offering fans the opportunity to win a fantastic RM8,888 home makeover, the platform will determine the winner based on the top customer during the contest period from 14 to 25 January 2019. This contest comes fresh off the back of the home shopping network’s Mandarin on-air programme expansion into the popular urban television channel ntv7, the must visit channel for CJ WOW SHOP Mandarin program. With the newly added-programme slots, shoppers will have more chance to spend and win. Adding further excitement for fans, they will also get to meet their favourite CJ WOW SHOP Mandarin hosts such as; Gary Yap, Pauline, Desmond, Shin Kong, Chai Zi, Emerson, Kah Chee and Yin Yin as these personalities tour across the nation to meet fans during the campaign period. They are invited to join the celebration as their favourite hosts conduct live product demonstrations and shoppers will stand to win special festive prizes and gifts through exciting and engaging activities. You will be able to purchase the products seen on television by calling the toll-free hotline at 1-800-18-0808. They can also make purchases online by logging on to http://www.cjwowshop.com.my or by downloading the CJ WOW SHOP mobile app via Android or iOS.